In celebration of our 3 year anniversary, the Snead Indoor Flea Market will be having a Customer Appreciation Event. This event will take place on May 31st and June 1st. FREE HOTDOGS will be given away from 10am to 2pm. Our vendors will also be offering customer specials and prize drawings. The Snead Indoor Flea Market owner will be offering a chance to win $100 worth of gift certificates that can be used for any purchase from any booth within the Snead Indoor Flea Market. All SIFM Customers that agree to join our mailing list will be entered to win. 7 names will be drawn on June 1st at 3pm. The first 5 names will receive a $5 gift certificate. The 6th name will receive a $25 gift certificate. And the 7th name will receive a $50 gift certificate. Please stop by and register at the concession area or near the front bay door entrance. SIFM Customers who wish to join our “SIFM VIP Customer” email newsletter can sign up below and also receive 3 additional entries into the SIFM Gift Certificate Drawing (mentioned above). Missy’s Tools will be offering 10% off all items purchased from booths H1-H3. They will also be offering a chance to win a $25 gift certificate good for any purchase from their booths. Click here to see the type of items they sell. Stover’s Gifts will be offering a chance to win a $20 gift certificate good for any purchase from their booths. Click here to see the type of items they sell. Stop by booths J1-J6 to enter. RMO Enterprises will be having a special on Frost Cutlery knives at booth H4. They will also be offering a chance to win a $25 gift certificate good for any purchase from their booths. 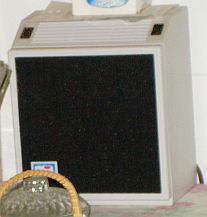 Click here to see the type of items they sell. Stop by the booths along the back row of the flea market to enter. Flashback will be offering a special price on this sword that comes with a wood plaque and mounts to the wall. 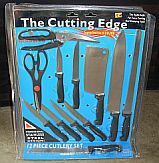 Flashback will also be offering the chance to win this Kitchen Knife Set with a Retail Value of $39.99. Stop by booths G1-G3 to register. 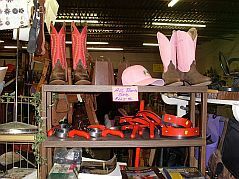 Evan’s Variety will be having a table of miscellaneous items that are 50% off. They will also be giving Free Candy Bags to the kids. You can enter to win a gift basket door prize. Stop by booths D11-D12 for your tickets. R & S Variety will be offering 10% off flowers. They will also be giving out surprise bags for the kids. Gifts will be given to the first 40 adults. Stop by booths C9-C14 & D7-D10 for your chance to win one of the dolls shown here. D & D Sales will be having a special on their paperback books. Buy 3 get 1 Free. All tongue rings, eyebrow rings, belly rings and earrings will be, buy 1 get 1 50% off. They will also be offering the chance to win this remote control car and also your choice of 2 of these abstract pictures. The drawing for both of these prizes will be on June 1st at 2:30pm. Stop by booths A17-A19 for your chance to win one of these great prizes. 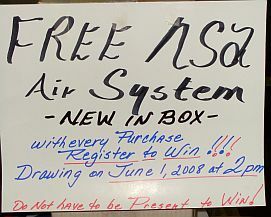 Every purchase from booths A14-A16 and B14-B16 gives you a chance to win a NSA Air System (new in box). Drawing will be held June 1st at 2pm. You do not have to be present to win. Stop by booths A14-A16 and B14-B16 to register. Dawn’s Custom Embroidery will be having a special on Paperback books for $1. Hardback books are $2.50. All new western boots are $45. 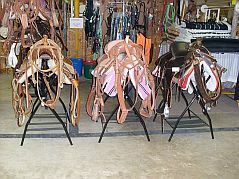 We also have 3 Jasper Haynes cutter saddles, each is priced at $600 + tax. They will also be offering the chance to win this wolf lighted picture. Drawing for this prize will be on Sunday, June 1st at 3pm. Free entry w/purchase from our booths or $1 per chance. Git-er-Cut will be offering a $10 gift certificate good towards any purchase at their booths. Click here to see the type of items they sell. $1 per ticket. Stop by booths B6-B8 to purchase your tickets. Serving Blount, Etowah, and Marshall County. Including Albertville, Altoona, Attalla, Blountsville, Boaz, Brooksville, Cullman, Douglas, Gadsden, Holly Pond, Oneonta, Snead, Susan Moore, Walnut Grove, White Oak and other surrounding areas. © Copyright 2006-2017 Flea-Market-Vendor-Resources.com. All Rights Reserved. No reproduction permitted without permission.